Take one piece of each design or 3 pieces. Set the unique piece aside (to use as a waist band). 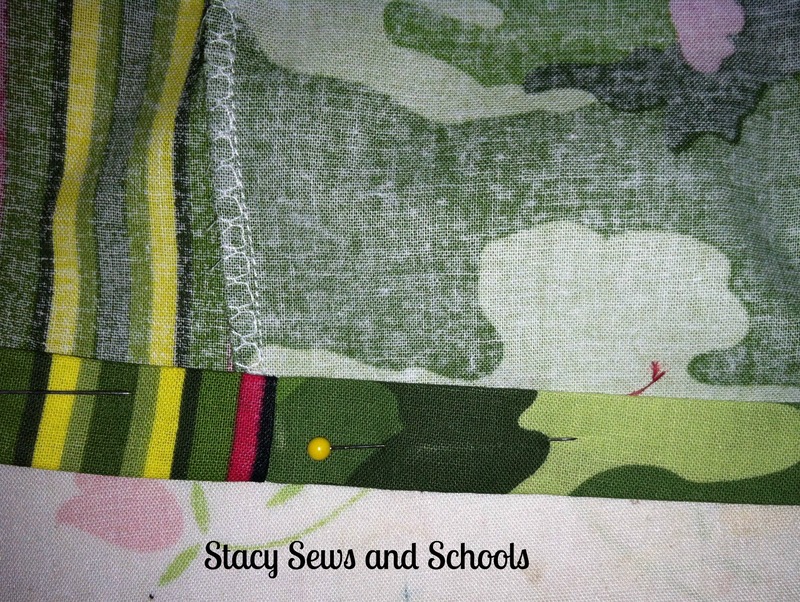 Then cut the fat quarters into thirds. 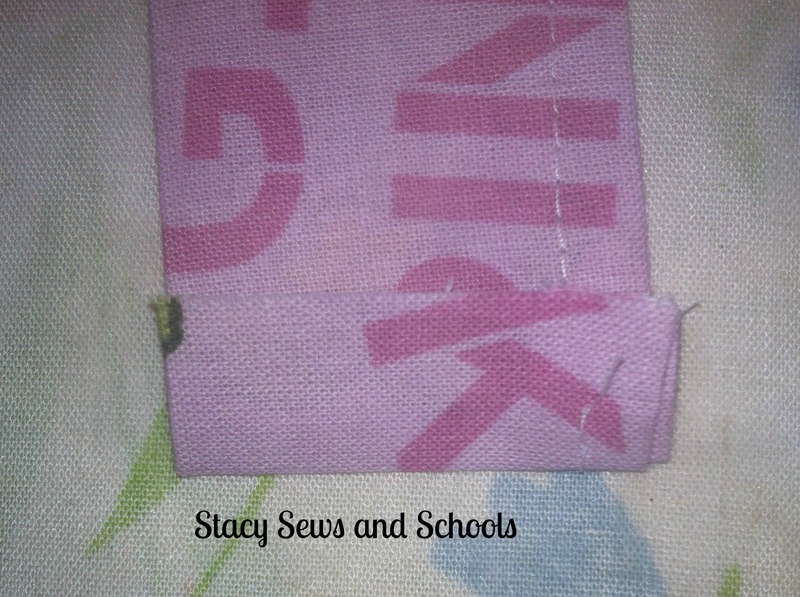 Take the fat quarter that you set aside for the waistband and cut it into fourths. Set 2 aside for the waistband. 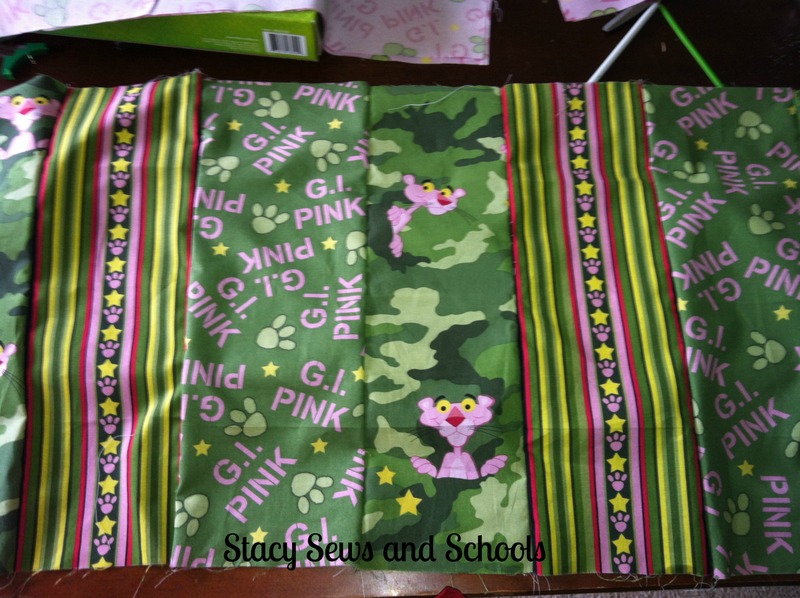 Go ahead and stack the pieces in the order you want to sew them in. 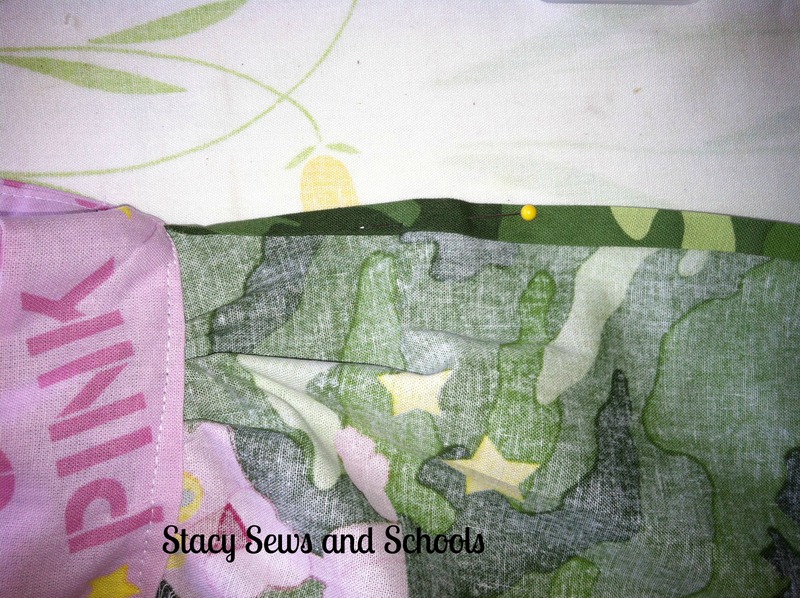 Pin your first 2 pieces together, right sides touching, and sew the seam! Apparently, I forgot to take a picture of this step… SIGH… Sorry about that!!!! It’s easy, though. You need to gather the top of the skirt! On my machine I set both of my stitch settings to the largest number and run 2 lines of straight stitches. Then I pull on the bottom thread on one side and gather, then I pull on the bottom thread from the other side and gather. 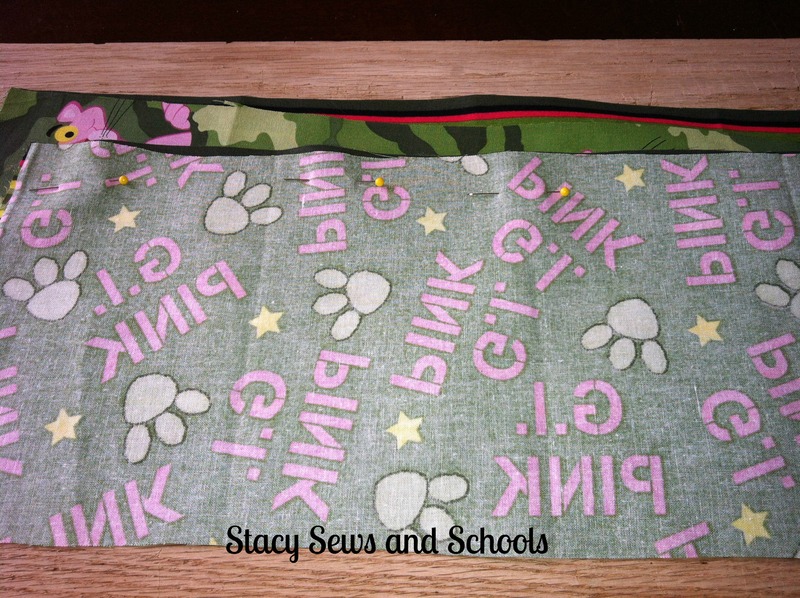 Now, take your 2 waistband pieces and sew one end to one end. Now, turn in 1/4 inch at the top and press. Then a 1/4 inch at the bottom and press. Fold in half and press! 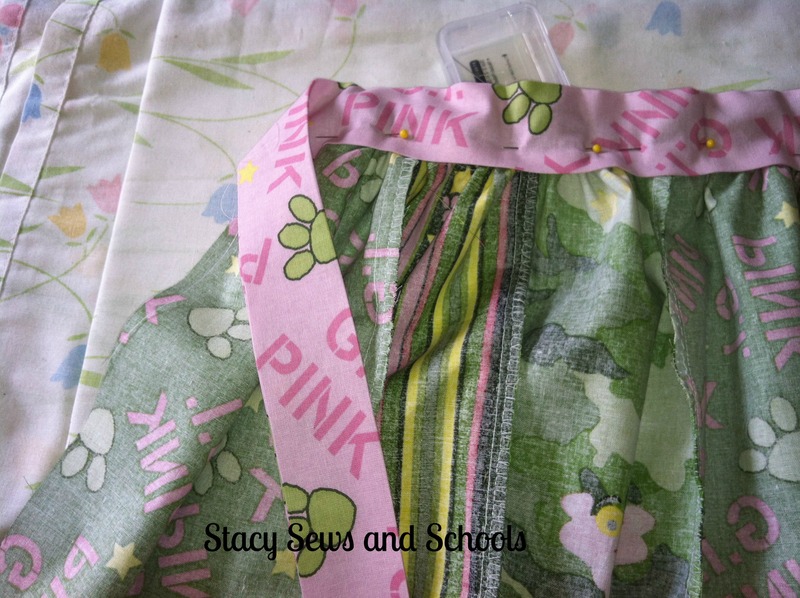 Open up the waistband and pin the skirt inside, leaving at least 5″ on each side for the ties. 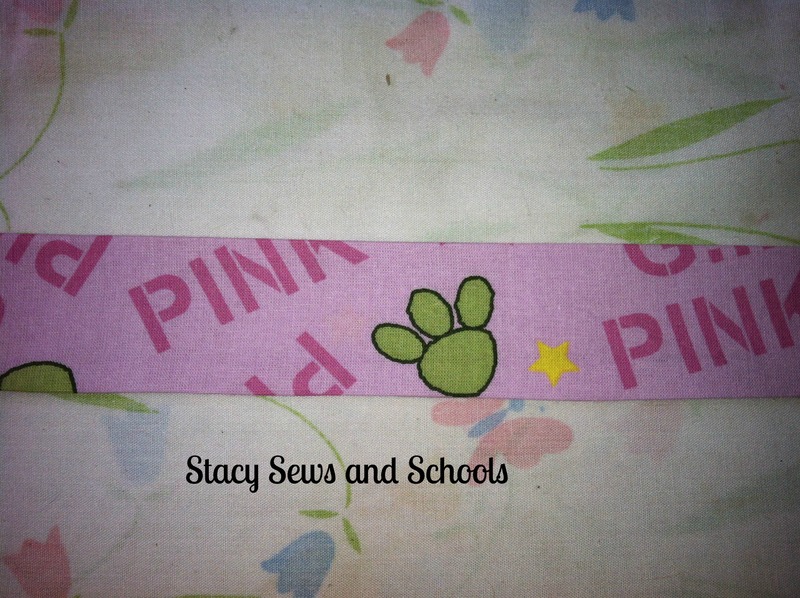 Run a straight stitch from one of the waist band to the other. 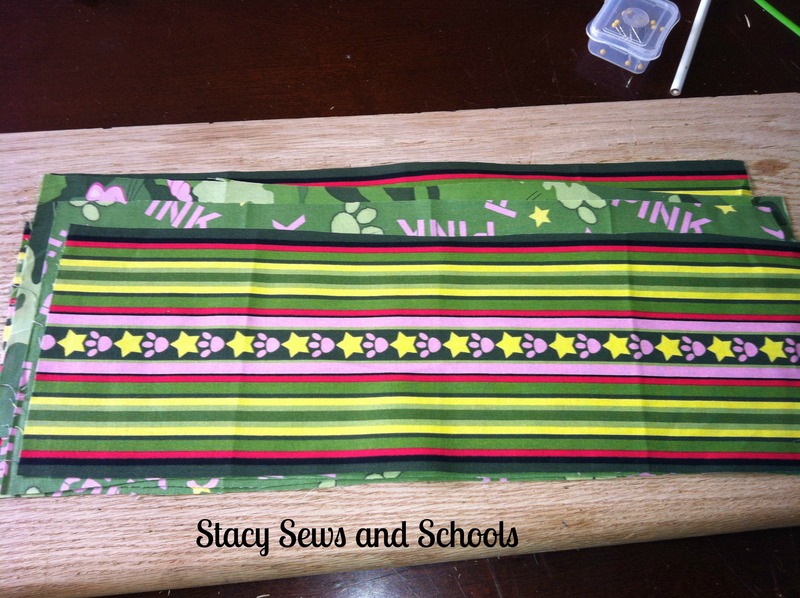 This will leave the ends as ties and enclose the top of the skirt inside of the waistband. 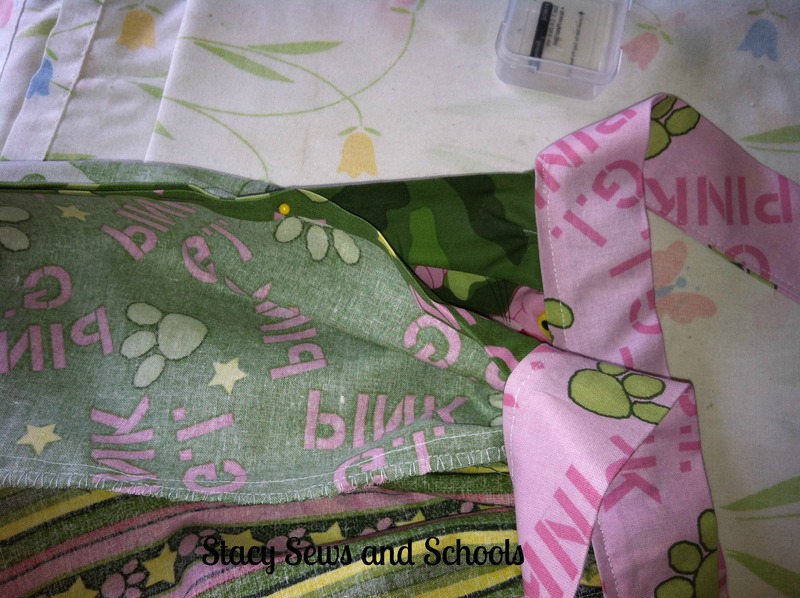 Fold over the ends of the ties, press and stitch across. 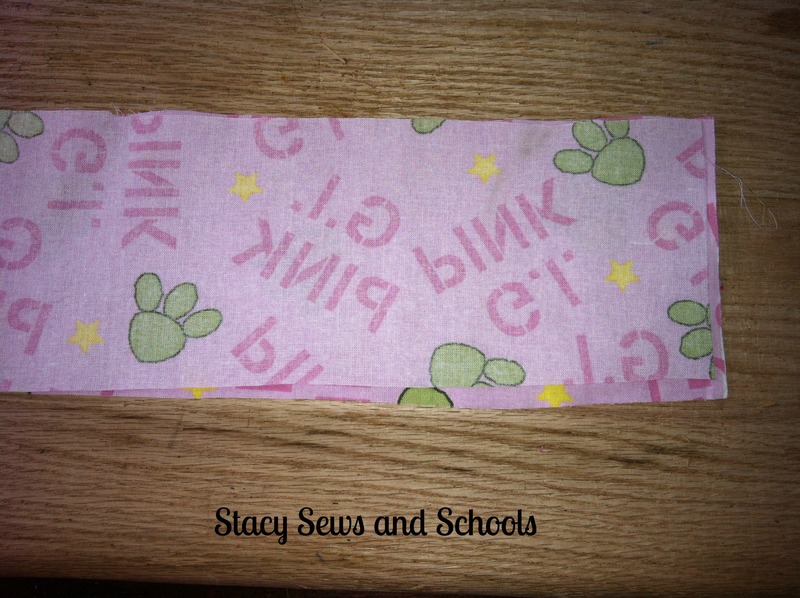 Fold over the raw edges of the side of the skirt 1/4 inch and press. Fold over another 1/4 inch, press and pin. This will enclose those raw edges. 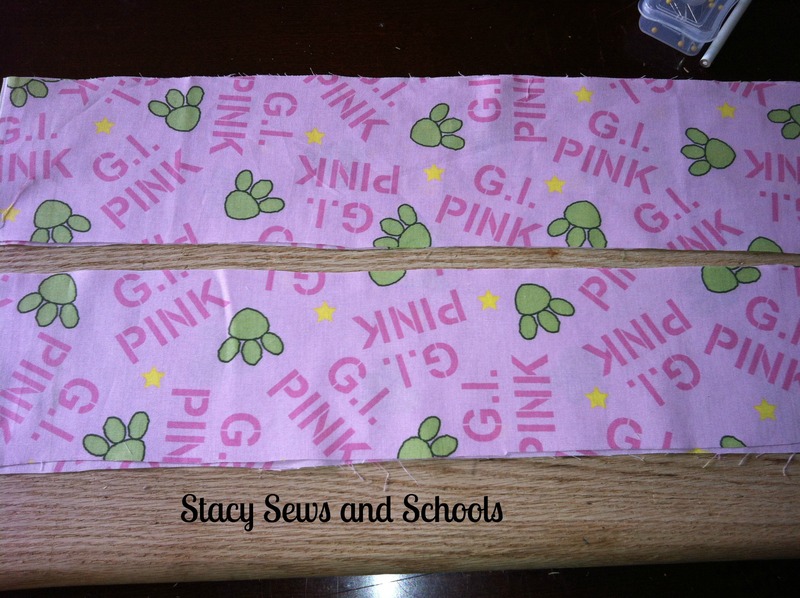 Pin the sides together and sew the seam but be sure to leave 3 or 4 inches from the top of the waistband down. 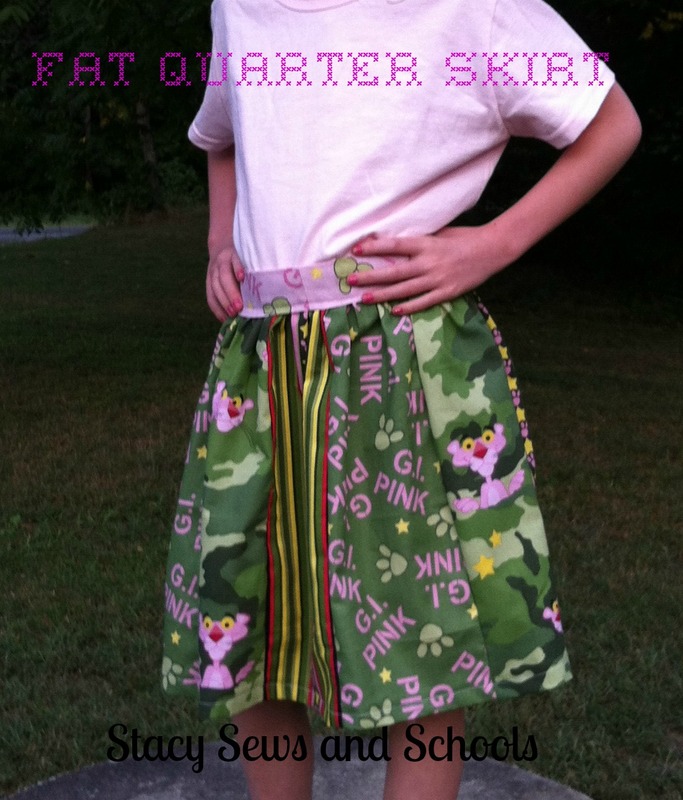 That will leave room for your child to get the skirt on and off. 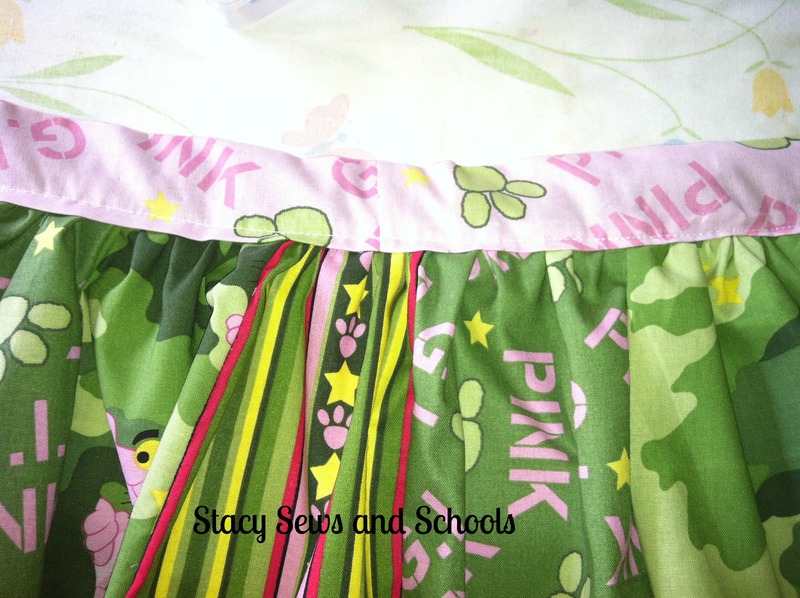 Fold over the bottom of the skirt 3/4 inch and press. Fold over another 3/4 inch, press and pin. Press and you are all DONE!!!! YAY!!!! awww pink panther!!! such a cute idea! love the mix of panels! very cute! Thank you for sharing at Heavenly Treats Sunday! Love this skirt! 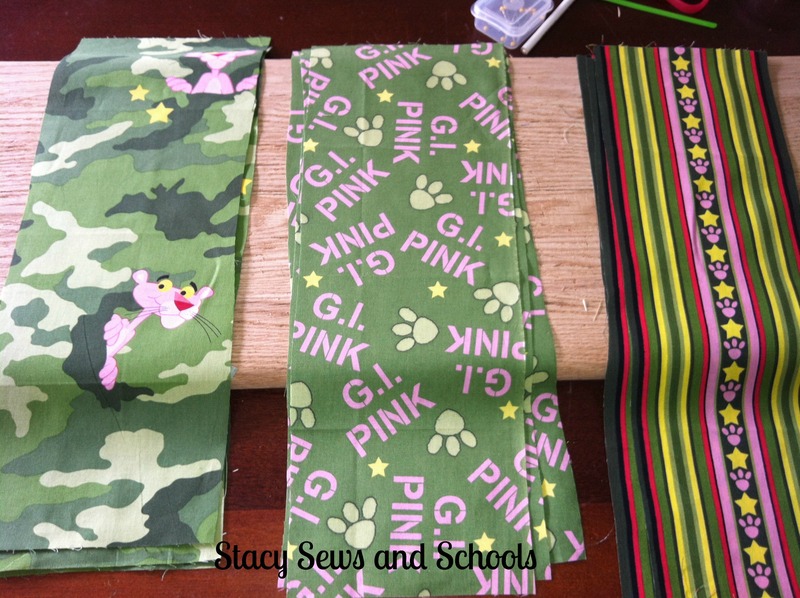 I love the idea of having it be a tie back instead of elastic at the waist. 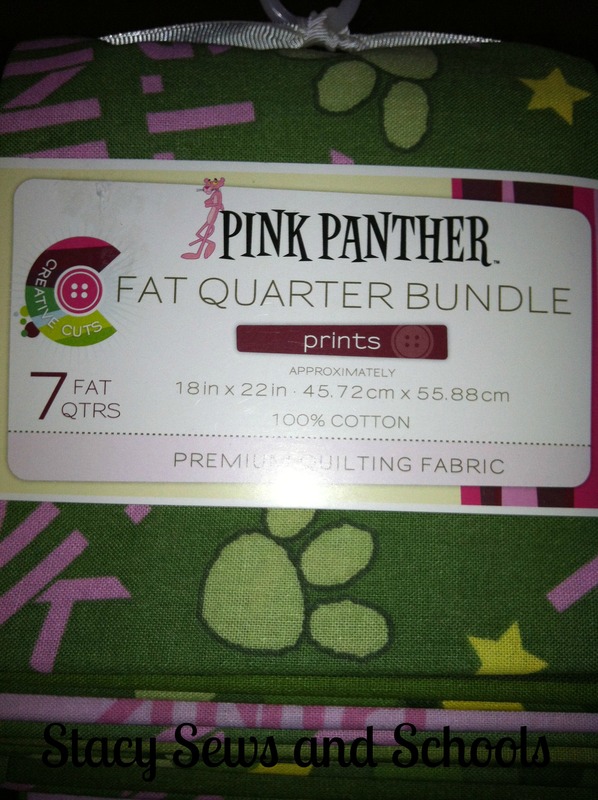 Now I’m wishing I had stocked up on fat quarters when Joann’s had them on sale for $0.75 each a few weeks ago. I’m pinning this tute and following you from now on! If you want to try some skirt/dress ideas I’ve created, you are welcome to visit me at thedomesticatedprincess.blogspot.com. 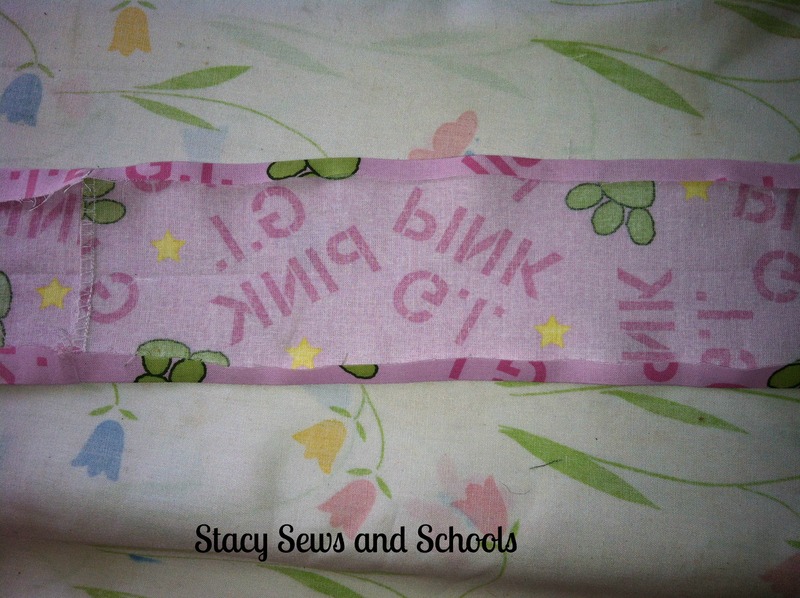 I found your site through I Made it Monday’s linky party. 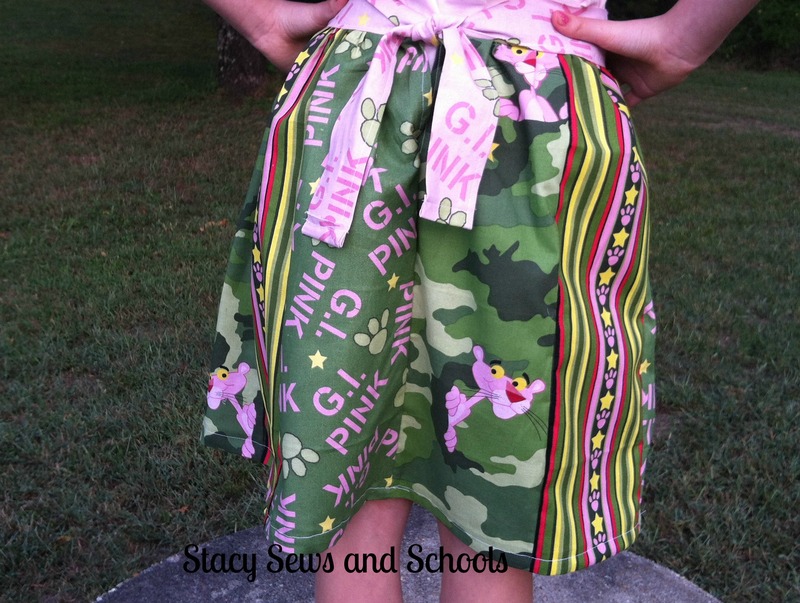 What a fun skirt….LOVE IT! I snagged some deals at Walmart so I will probably be posting some more fat quarter projects soon! Adorable! Thanks for sharing at the All Star Block Party! Lol, I love Pink Panther! 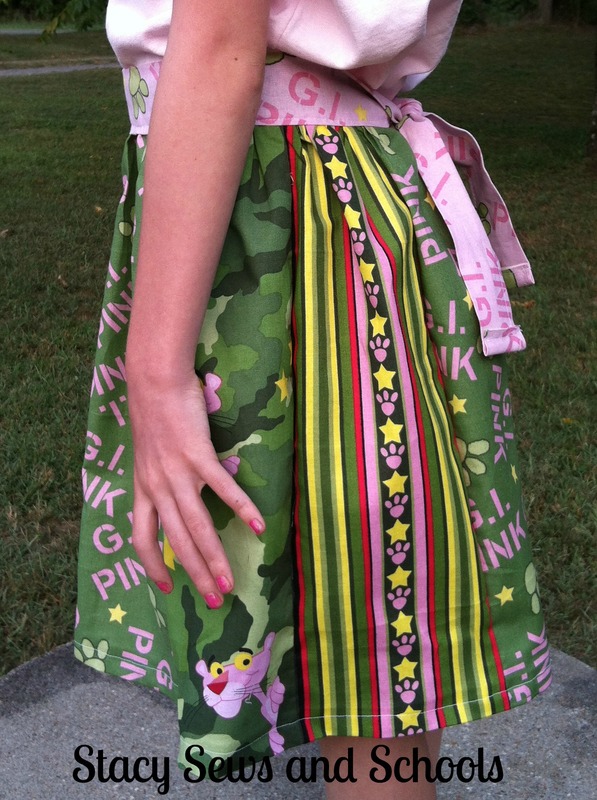 And the skirt turned out great, way cute. Thanks for sharing at The Fun In Functional! Thank you SOOO much, Jessi!!! I’m so glad I found your blog! Love this skirt. Can’t wait to see what you come up with next! Great tutorial Stacy! The skirt is so fun! Making note of the name change!!!! Neat idea! I bet your daughter and her friend loved them!! Thanks for linking up to our Keep Calm & Link up party – hope to see you again next week! Yay! I love fat quarter projects. Thanks for sharing this at the Weekend Wonders party. Hope to see you back on Thursday. Have a great day! AWW!!! Thank you VERY VERY much, Britni!!!!! 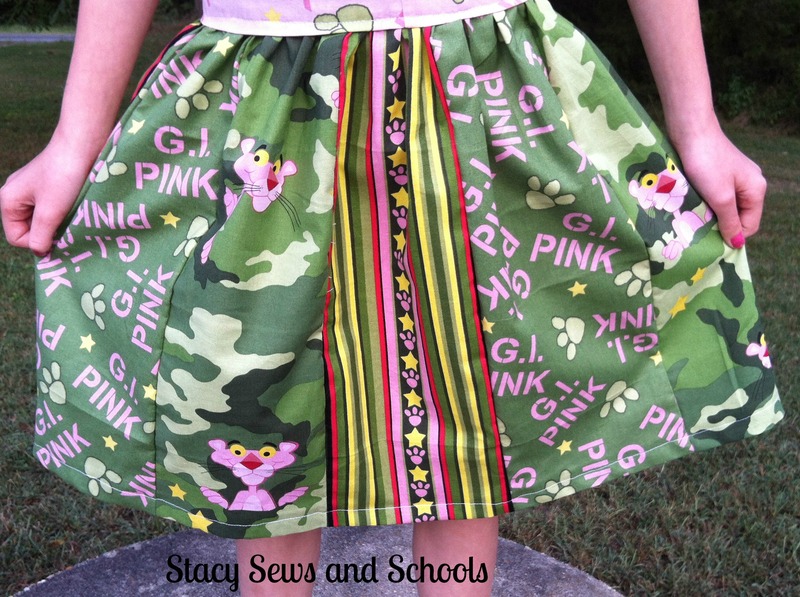 What a pretty skirt, who wouldn’t love it!